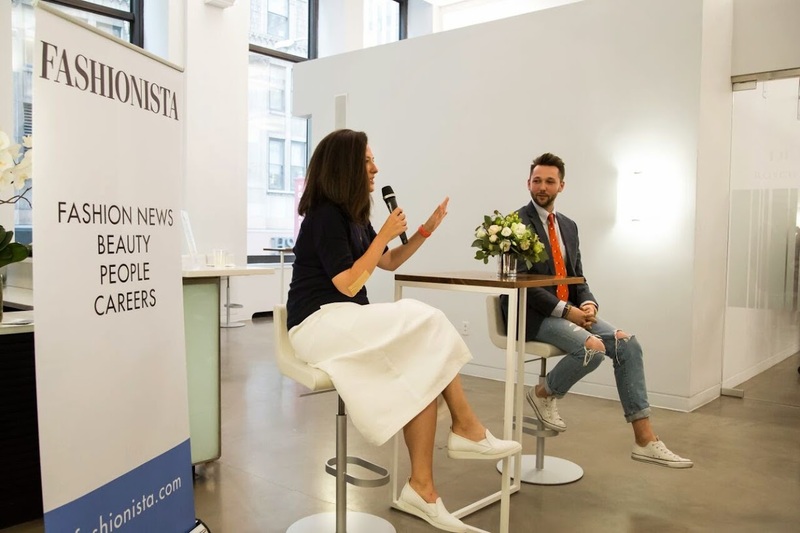 This past Tuesday I had the pleasure of attending a live conversation with Fashionista x Chris Benz. 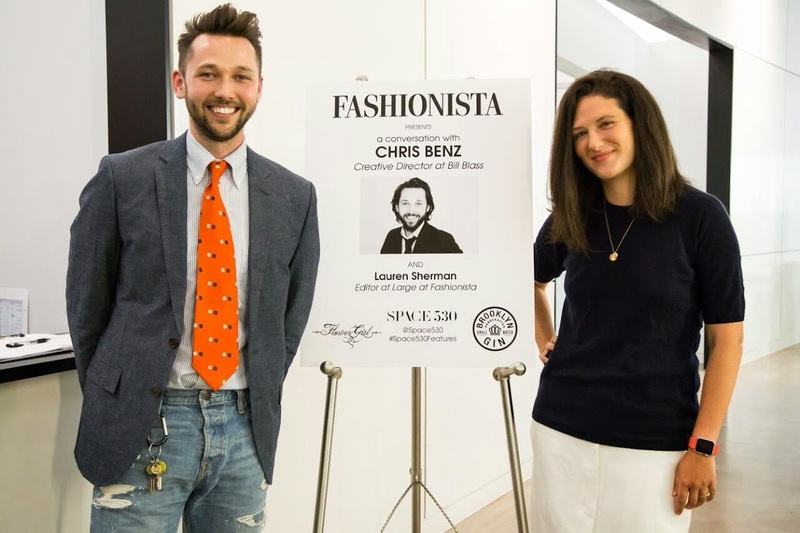 Chris Benz in 2014 joined Bill Blass as Creative Director shortly after shuttering his namesake label. He sat down with Lauren Sherman and talked about his upbringing, the transitioning as fashion designer and becoming the Creative Director at Bill Blass. He grew up in Seattle and loved fashion and magazines as a young child. He would dressed his mother growing up. At 16 years old he nervously approached Donna Karan at her a staged fashion show in Seattle. Donna's number one tip to him was to go Parson in NYC. Parson was a hard curriculum that under the Tim Gunn rigorous regime. Parson was more about creating a collection versus merchandising and the business side. Chris received a CFDA scholarship in his junior year. He also work at J. Crew, where he learned that he valued working for other people, the planning and the selling of clothes. He learn what clothes meant for the everyday people. At the age of 25 he wanted to it right than instead of later on in his life. Chris's decision to stop producing his namesake label, because the girl and industry changed. Having a colorful collection really didn't fit in when the trend is all about the black/sporty collection such as a Alexander Wang or Rick Owens. Don't do it without the money! Don't think the selling the clothes is the core of money coming in. It may take two or mores seasons to make a profit. He took a year off and moved to Brooklyn, took up yoga, and was approached by Bill Blass to take the Creative Director position. Taking the Bill Blass's philosophy of the modern the woman, smart dressing, colorful and comfort; It's about the 'piece'. Each product needs to be important on its own and give the woman a fabulous product all the time. Shoppers don't care about seasons, they want clothes for their own occasions. It's about communicating and having a dialogue with the customer. It's about building a collection for a few years, instead of a season. If you want to take a trip down memory lane and look at Chris Benz past collection, click here. The launch of Bill Blass under the Chris Benz helm will be available, Nov. 1. Disclaimer: This conversation have been edited for length.